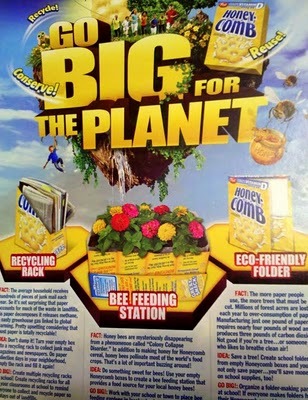 The Latest Honeycomb Box- Really? Recently my kids were eating some Honeycomb cereal for breakfast and I noticed that my older boys seemed amused about what they were reading on the box, so I asked to see it. On the back it listed some ideas of how you can go green by re-using the cereal box after it is empty for different purposes around your home. Before I rip on share their suggestions, I'd like to say that I'm all for saving, recycling, and conserving. That is until people become militant about it, hand out guilt trips, or claim they are being "green" just to jump on the bandwagon. Here are the ideas Post suggested. 1) Make your empty box into a magazine holder. I can see doing that for old periodicals that you put in storage, but would any of you display magazines from a honeycomb box on your coffee table at home? 2) Make a bee feeding station (aka flower pot) out of it. Same question. Wouldn't your ornamental flowers look lovely springing forth out of a cereal box. 3) Make an eco-friendly folder for school. What if a student ran into a gang of kids with Grape-Nuts folders and they spotted your bright yellow folder? 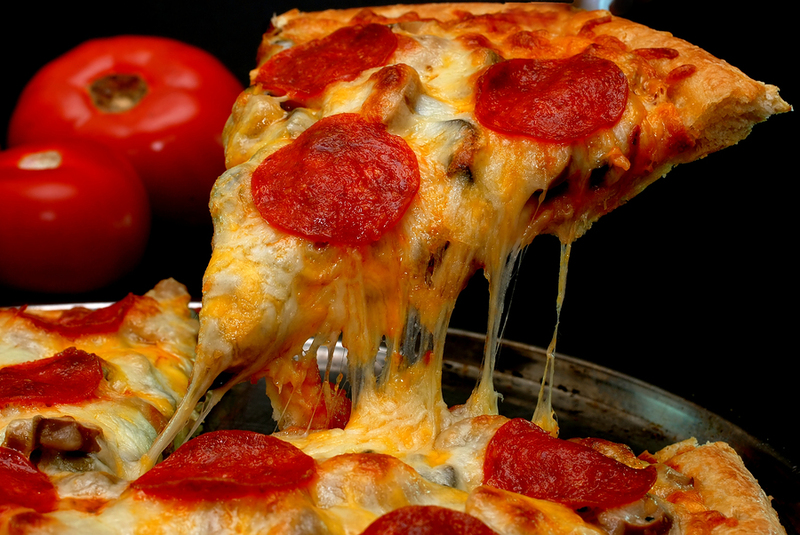 This is just too dangerous in my opinion. So either Post cereal is trying to get people to do free advertising at home and school for them, or they are concerned about the environment, but only enough to make their consumers clean up the messes they make. I have some suggestions for Post cereals if they are really concerned about going green. 1) Change your box colors from yellow to green. 2) Give us some suggestions how we can make our clothes out of your boxes too. I'd love a yellow suit with the Honeycomb logo all over it. 3) Stop making cereal so you don't have to worry about your boxes adding to the landfill. You could also shut down your plants around the world and plant trees in their places while you are at it. 4) Decorate your own homes with cereal boxes, but I'm sure your board members and executives already follow the advice you give and probably live in homes made entirely of cereal boxes. Sorry for my admitted over reaction. I would just looking for a big big taste with a big big bite for breakfast, but I also got a hypocritical lecture about protecting the environment when all they were trying to do was promote their product. We have pretty much the same traditions in our home as most other people this time of year. I enjoy making my famous chicken nugget casserole, wearing my purple lederhosen, and singing African tribal songs. I also work on our traditional Christmas puzzle. When I was a a kid, my parents would do puzzles over Christmas break. Back in the early 80's, they bought a Springbok 1,000 piece puzzle and they'd do it every year. When I got married they gave it to me and I've moved the tradition to my family. 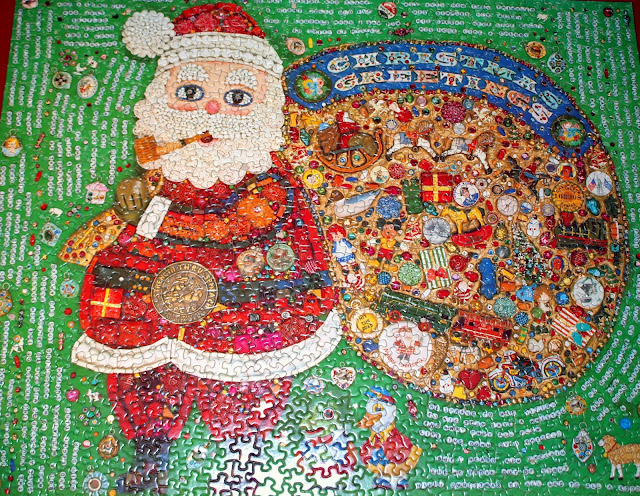 The puzzle has a retro feel to it with a bunch of detail and it features the poem "The Night Before Christmas" scattered throughout it. Some friends and family vanish or fake a seizure when I bring it out, but others actually enjoy working on it. We used to leisurely work on it for weeks, but over the years we've gotten more competitive and usually try to beat our record which is around 2.5 hours. It's getting easier now that my kids are older and are able to contribute more than they used to. It's a miracle that after all these years we haven't lost any pieces. In fact, it has grown from a 1,000 piece puzzle to about 1,020 pieces. I hope you enjoyed your Christmas and have fun with your family's traditions too. 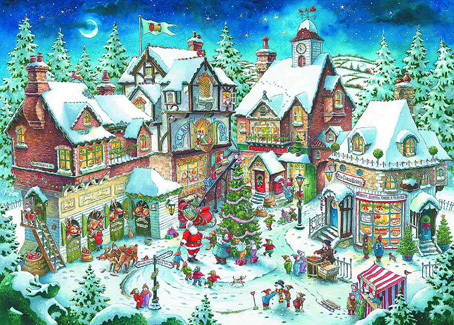 I haven't sent out real Christmas cards for many years. I just can't get around to it anymore. I enjoy receiving Christmas cards and all the "my family is better than your family" letters, but I have been a slacker for quite a while when it comes to reciprocating and sending out holiday salutations. As a result, I have decided to post my Christmas card on my blog this year. 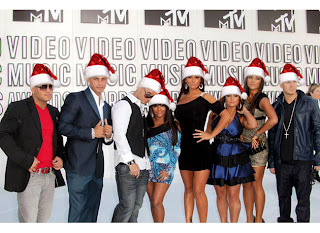 Since I associate with a wide variety of people from different religious, political, and socio-economical backgrounds, I thought I'd try to avoid offending anyone and I'd let you customize this Christmas card to your specifications and preferences. Just mark the selections you relate the best to. This way I can send the same card to people who live in a mansion in the Hamptons or to those living in a trailer park in Barstow. Let's start with the greeting on the cover. Hopefully, I was able to dial in and reach you all on a personal level. But seriously, I hope you can all get past the stress and hectic pace of the season and enjoy yourselves with those you care about most. 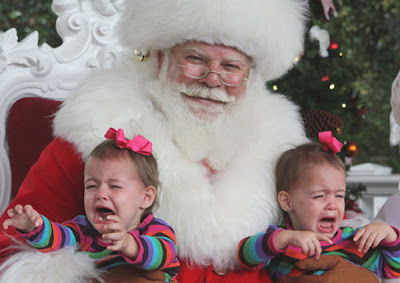 I recently took my kids to see Santa. My youngest clung to me like I was trying to throw her off a cliff as soon as she saw him. It made me realize that warming up to Santa can take some time. I found this picture online that really proves my point. Can you blame them? They are being forced to sit on the lap of a flamboyantly dressed old man who they don't even know. It takes years of presents to condition kids to look forward to this. During the summer time I stress out when I see bills in the mail from Rocky Mountain Power. In the Winter, my anxiety changes over to Questar Gas. My dislike for the local city utilities usually remains constant throughout the year since their bills don't fluctuate with the temperature. As much as I appreciate having heat, water, and electricity, I sure hate utility bills. I don't consider myself an environmentalist, but I don't like seeing litter, pollution, or waste either. I try to conserve energy, but I'm mostly motivated by saving money. I think we could solve more environmental problems if we focused on saving money since money is a language most people understand. When I see my kids washing a dish by holding it under hot running water for 10 minutes (the erosion method), I think of my utility bills, more than I do any impact it may have on the environment. I'd rather spend utility bill money on me and my family than the utility company, so a while ago I came up with a plan to get my kids on board. I put a copy our most recent utility bills on the fridge and tell my kids if they can help me get next month's bill lower than the prior month, then we will have a pizza party. It works. I don't do it because I'm worried about ozone layers, or carbon footprints or any of that crap. I just figure I'd rather spend that money on something fun, so at least this way it shifts saved money from our utilities budget and moves it over into our food budget instead. Making my kids aware of energy conservation has helped us reduce things like leaving lights and TVs on in empty rooms, taking super long showers, leaving outside doors open, and running a load of wash for just 2 or 3 items. (At least when I'm at home). I guess I could always frighten my kids by telling them stories about polar bears dying and cities flooding instead in order to motivate them to save energy. Never mind, I think the media already has a monopoly on that approach. My kids recently pointed out that my hairline is beginning to recede. I really appreciate their keen observations and the reminder that male patterned baldness has commenced for me. Maybe some day I will have the same hair style as Phil Collins. This got me thinking about how much hair some people have and the different ways they can wear it. I thought I'd do a quick poll and get some feedback to see which of these hairstyles (not the men) you prefer. Guys can feel free to participate too. I decided to start with the longest I could find. 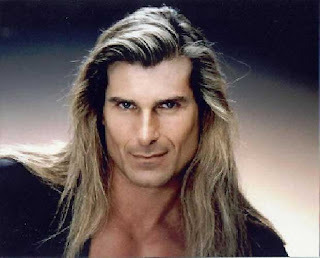 I didn't want to gross you out with a picture of Willy Nelson, but I don't think Fabio is much better either. 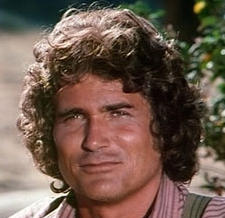 Michael Landon sported the long look too, but it came across as looking a little more natural. I don't think he spent a lot of time in front of the mirror brushing it out each night. Johnny Depp has had a variety of hair styles and lengths over the years, but here he shows a style in the mid-range. 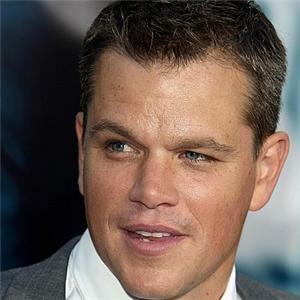 Matt Damon has always been clean cut and kept his hair fairly short. My hair has been about this length for the past 15 years. 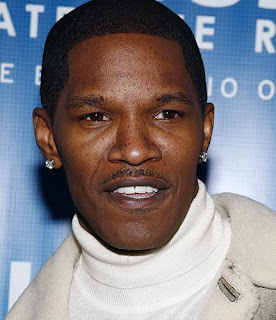 Jamie Foxx usually sports a very short look. I'd prefer mine this length since it's so easy to maintain, but my wife doesn't like it this short. 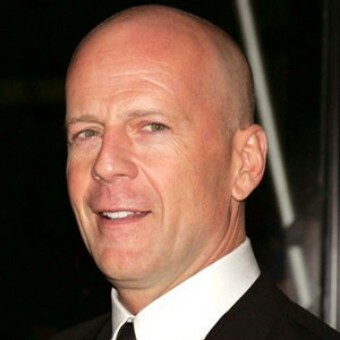 Bruce Willis finally gave up on fighting the baldness years ago and decided to just bic it. The totally bald look is actually quite popular these days and I'd consider this some day too if it weren't for the Pac Man Fever tattoo on my scalp. I know people can look great with different hair styles from each of these categories and there is no right answer, but which of these hair lengths do you prefer? I recently got a notice on Facebook that there is a campaign in progress to end violence against children. Facebook users wanting to support and bring awareness to the cause are encouraged to change their profile picture to a cartoon character until Dec 6th. I noticed a bunch of friends have recently changed their profile pictures so I looked into it. I ended up giving into the peer pressure, but it was mostly because I did not want to come across as a person who is FOR child abuse. 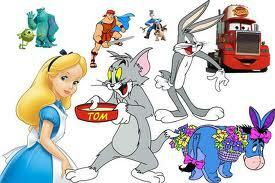 Then came the hard part or choosing a character. I considered Grape Ape, Aqua man, Captain Caveman, and Shaggy. None of them were cool enough so I had to go Vulcan. It was the most logical choice. (Get it.) So I jumped on the band wagon, but not without a plethora of reservations. Here are just a few of the problems I have with this campaign. 1) Kid's aren't even supposed to be on Facebook so it's not like they will notice anyway. 2) I think this movement might be a scam originated by Hannah Barbara or Disney, kind of like Valentines Day is perpetuated by Halmark. 3) Wouldn't I be more effective at preventing child abuse by being nice to my kids instead of yelling at them as they interrupt me while I'm trying to find a cool cartoon character for my profile? I really wish changing your profile picture to a cartoon character would end violence against children, but I am not so naive. This got me thinking of some future feel good campaigns we might want to do. * Cutting our toenails on January 1st to help reduce the national debt. * Make pudding in a cloud for dessert to promote Leukemia awareness. * Wear a Fedora on June 12th to help the homeless. Sorry for being such a cynical party pooper. I'm not trying to rain on anyone's parade, or detract from any campaign that is attempting to stop violence against children, but I'm sure there are much better ways to get results when it comes to stopping abuse. In the mean time, my new profile picture looks pretty cool.